It’s always exciting introducing a new band and their sound with a debut single, but the best ones have just the right amount of familiarity to them as well. Mother Culture have hit the spot on their first release with ‘Bedside Slowdance’, an enchanting piece of kooky pop-rock. 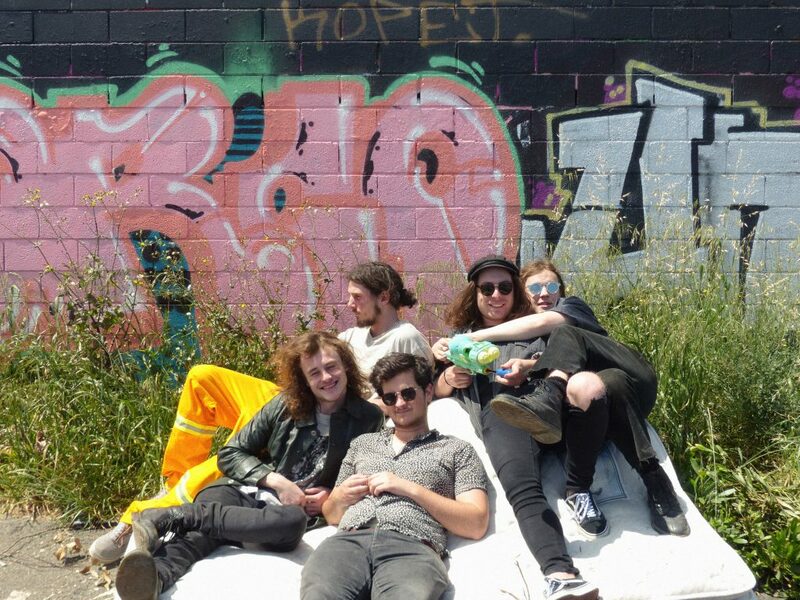 The track hasn’t come out of the blue - Melbourne five-piece Mother Culture have been chipping away at things for a while, releasing demos over the last three years and building up to the big moment. It’s finally here, and we're stoked to be a part of it. A distorted opening quickly gives way to jangling guitars that almost hark back to the British Invasion, merging with a myriad of catchy hooks before settling in. The mood’s upbeat and atmospheric, helped by the kind of chorus that becomes unforgettable and immediately recognisable. Ethereal chords come in a little after the minute mark - just one of the unique twists that build on the song’s timeless style - and intertwine with the rest of the track’s charm to build up and up, coming to a close with a groovy guitar solo. The whole thing has a psychedelic tint, twisting and turning along under soaring vocals and above a mellow bit of acoustic guitar. They describe themselves as “your sister’s favourite band”. Your sister has good taste. We had a chat with the band ahead of their single launch at Revolver on the 1st of December. TJ: Hey Mother Culture, what’s the story? MC: Morning glory? Hey Trouble Juice! Well we've decided to pull our fingers out and finally get around to doing that thing bands are supposed to do and actually release some music. Tell us about your new single 'Bedside Slowdance'? Well ‘Bedside' is a kind of kooky hypnotic pop song that was musically inspired by a certain couple of Father John Misty and Beatles tracks, I'll leave you to work out which. Lyrically it was a little bit of an experiment, with the whole song about fictional characters I'd imagined - so we'll see how people take it. You’ve been floating around the Melbourne scene for a little while now, but you’ve only just offered up your debut single - what else have you been up to? Well funnily enough the old Mother Culture had broken up a couple years back. After that, I kept slowly tinkering away writing songs and demoing in my home studio until I realised that I should probably do something with all this music. So I put together a new line up and after gigging around most of the year and we've finally decided to show people what we've been working on. What’s coming up next for Mother Culture? We're playing our launch show December 1st at Revolver (so come on down to that) and we may have a few other surprises in store for summer - but in the meantime, we're working on an EP which could be ready to release early next year! Have a listen to 'Bedside Slowdance' above, and catch Mother Culture launching the track on Saturday December 1st at Revolver.